More often than not, dogs loving being a part of the action, taking part in family outings and events. Trick-or-treating on Halloween is no exception. 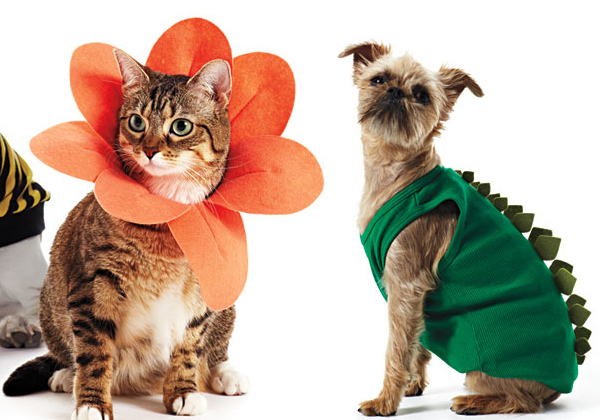 PetSmart has the most extensive line of pet costumes on the market today, including a number of new costumes for dogs from Martha Stewart Pets. In the October issue of Martha Stewart Living magazine there was a terrific article about Halloween costumes for pets that explained the dos and don'ts of pet safety. Katherine Miller, director of the American Society for the Prevention of Cruelty to Animals was asked about her tips and suggestions for keeping your pets safe and happy during All Hallows Eve. "A pet's ability to bear wearing a costume depends on the pet and its past experiences with clothes, collars and harnesses," she says. Costumes should never impede a pet's ability to move, see, breathe or hear. 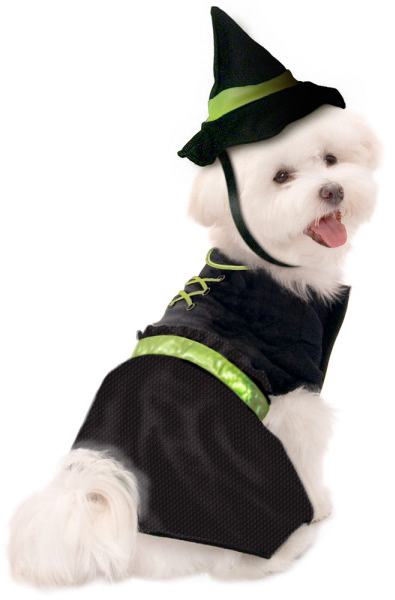 Avoid small sequins, hanging parts and bells and don't leave a pet unsupervised while it is wearing its costume. Miller suggests trying on the costume a week before Halloween during positive activities such as on walks or during feeding times to see how the pet adapts to wearing it. If your pet seems restless, agitated or depressed, tries to pull off the costume with its teeth or runs away to hide it is uncomfortable and the costume should not be worn. Most commercial pet costumes are designed to be light and comfortable but you could also make your own! Click here to see Martha's templates for a petaled collar for cats, a doggie dino tank and bat-wing harness. Read more about pet safety for Halloween here. Be sure to bring your 'little one' along to PetSmart's Howl-O-Ween in-store event on Saturday, October 22nd. 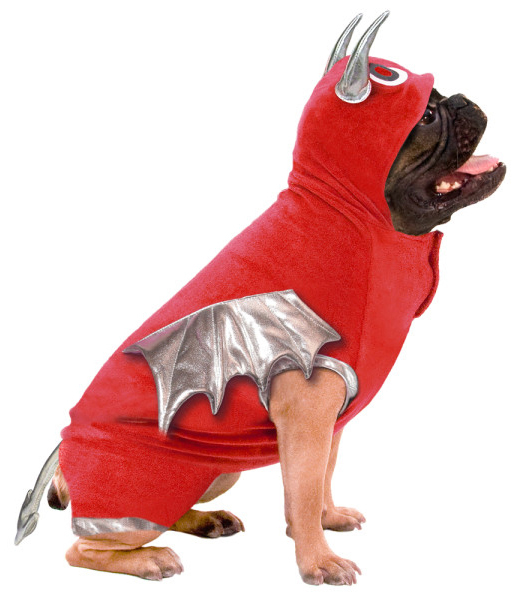 Pets can parade around in their devilishly cute digs in PetSmart stores across the United States, Canada and Puerto Rico. Three winners will be chosen from each store - first, second and third place - each receiving a voucher for a PetSmart product, including dog and cat toys.